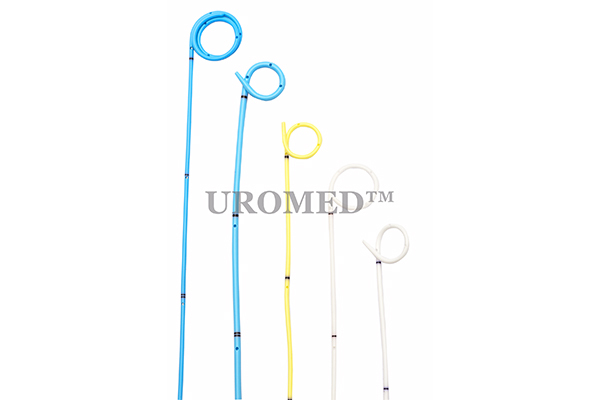 Used for temporary internal drainage of urine from the ureteropelvic junction to the bladder. Stents are available in white , blue, and yellow colors. Stents are avaiable with guide wire as a kit. Pigtail loop avoids slippage and has a very good retention. Highly radiopaque for better visualization and has an extremely low encrustation tendency. Tapering at both ends helps in easy penetration to the exact location.